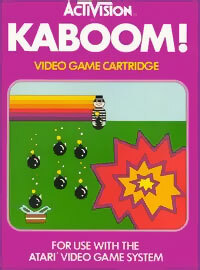 I discussed in my review of the 1970s that Activision was the first third-party developer in video gaming. They took advantage of their new-found license to make games by producing a slew of titles for the Atari VCS, some of which were even good. OK, that’s a little harsh. Compared to the standard fair Activision’s games were better than average–well, most of them. Some games were still shovelware–I’m looking at you, Barnstorming!